We are used to associating the words pop-up and paper with playfully inventive books, but when we are talking about Wanda Barcelona, who have made a career out of exploring the limitless possibilities of paper, the two words open up to a new world of possibilities. 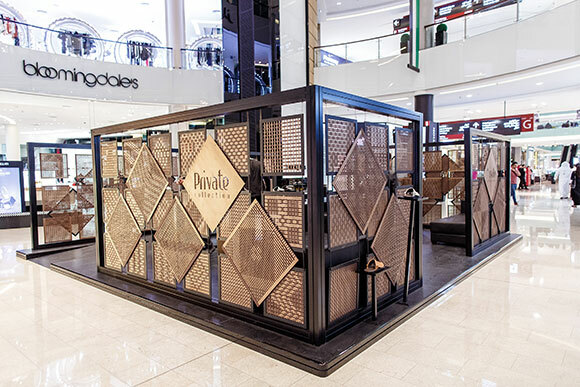 And that is the case for their latest collaboration with luxury Arabic sandal brand Private Collection, for which the studio has created an original temporary space in the Dubai Mall out of paper. 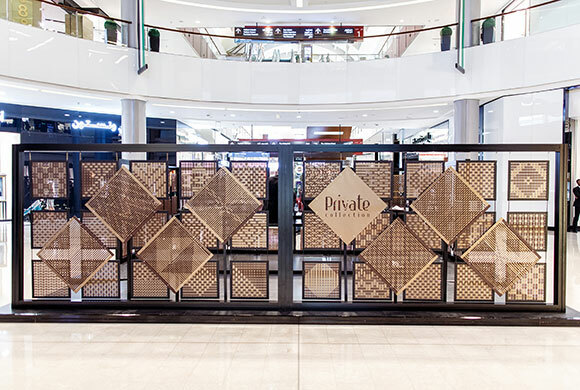 Situated in the front atrium of the Dubai Mall, the pop-up’s walls were surprisingly made of feather-light golden paper strands woven into intricate square panels. The result? A temporary treasure chest as intriguing from its exterior walls as the interior items waiting inside. 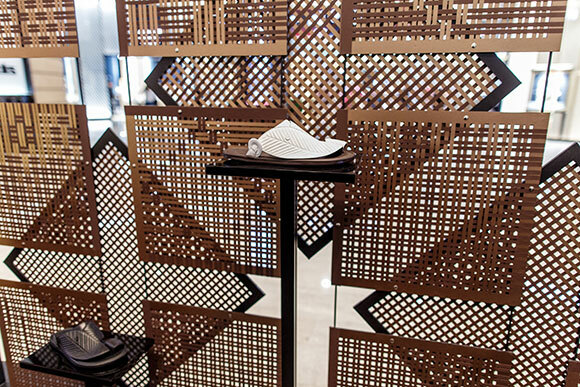 Further still, the popup was a fitting tribute to the country’s own architectural details. 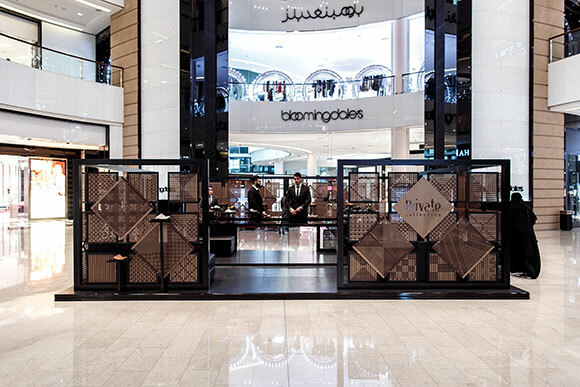 The intertwined paper features of the shimmering walls became a fitting homage to the Arabian penchant for patterns and geometric decoration. With a heavy foot fall flowing into the space, it seems that Wanda looks set to prove to the public that paper can take flight in any form imaginable.